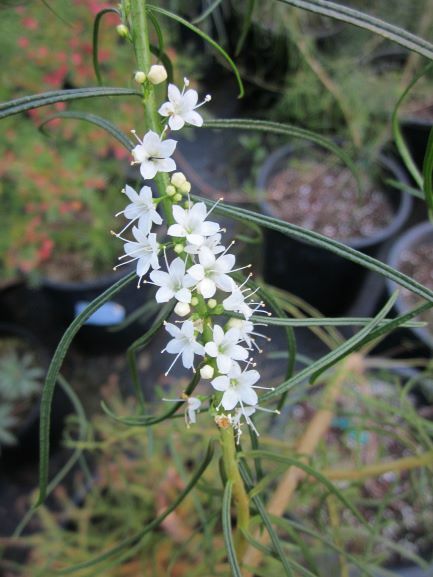 Ornamental small tree 8-12' with weeping habit and profuse white flowers in spring. Tolerant of most well-drained soils and situations. Tolerant of moderate frost (20F). Excellent small tree around ponds.